A Senate proposal is taking aim at hospital balance billing—a practice that has caused sticker-shock reverberations across the country and sparked increasing public outcry. 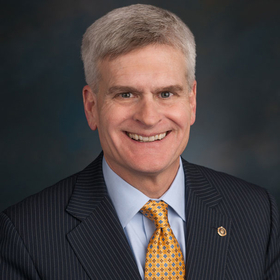 Sen. Bill Cassidy (R-La.) is spearheading a six-member bipartisan policy group seeking to address the escalating public share of healthcare costs and boost transparency. As a first step on Monday, he announced the discussion draft of a bill that would tweak the Employee Retirement Income Security Act, or ERISA, in order to restrict patients' financial responsibility for out-of-network emergency department care. About 25% of patient visits to hospitals in their insurance network result in balance billing from care by out-of-network physicians. A growing number of states are trying to address the issue with legislation, but they are limited by federal ERISA laws that have jurisdiction over large employer plans. The discussion draft of Cassidy's legislation defers to state limits when setting parameters on patient costs for emergency care. For states without balance billing laws, a patient's health plan would have to pay the difference between the patient's in-network co-pay and a reasonable charge for the treatment. Cassidy's proposal would define the reasonable charge as the median cost of the required service or 125% of the average allowed amount for insurers in the same geographic region. While some state laws on balance billing also introduce arbitration mechanisms for providers and health insurers to work out disagreements over billing, the Senate proposal stays clear of replicating a similar process on the federal level. The policy would also ban physicians from automatically giving the patient additional recommended treatment in the out-of-network hospital once the patient is stabilized. Instead, the physician would have to make it clear the facility isn't covered by the patient's insurance and offer a referral to an in-network provider. This proposal is the first from a new "price transparency working group" made up of members of the Senate health committee and Senate Finance Committee, which both have jurisdiction over healthcare issues. In a media call Monday, Cassidy said he and his co-sponsors want to familiarize other lawmakers with measures aimed at price transparency and hope Congress will take action on a package next year. "We understand that price transparency is something people need to get their heads around," he said. The Senate health committee will hold the third in a series of hearings looking at bringing down healthcare costs in the system on Tuesday. In an earlier hearing, senators on the committee eyed a potential effort on federal limits to balance billing.